"I opened two gifts this mornings. They were my eyes." If you're like me you love to roll around in bed for at least 10 minutes when you first awaken before bursting onto the daytime scene - hit snooze (a few times) and blink slowly, gently taking stock of the day's outline. 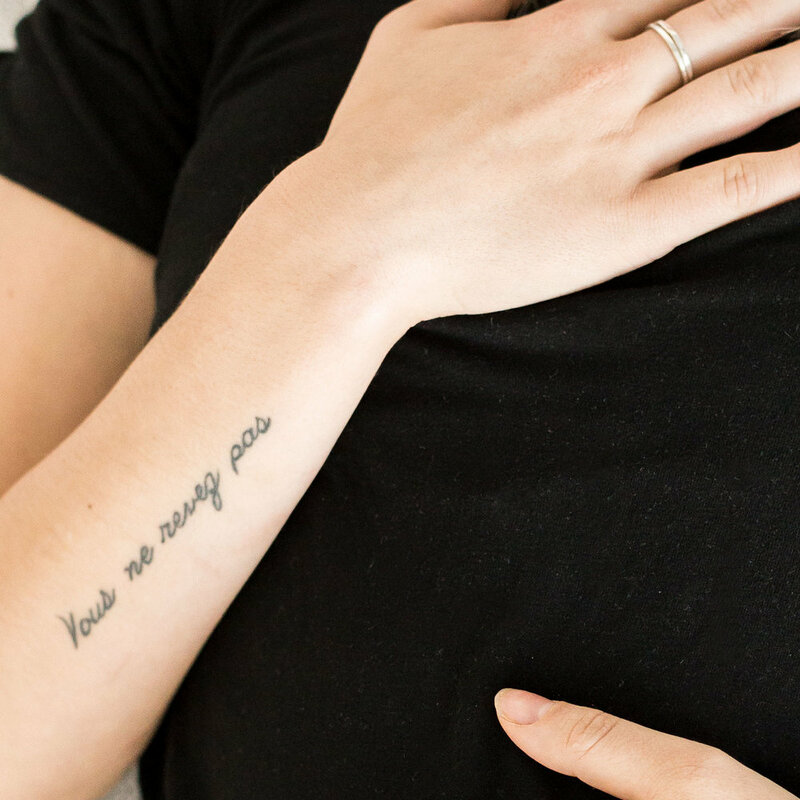 In my early 20s I was always leaping out of bed, mortified that I was late for something, had slept through a commitment or had forgotten where I was supposed to be. Waking up anxious is a real tone-setter and can throw the course of an entire day; if you continually associate mornings with stress and negativity chances are they will keep giving you that. Rude, I know. 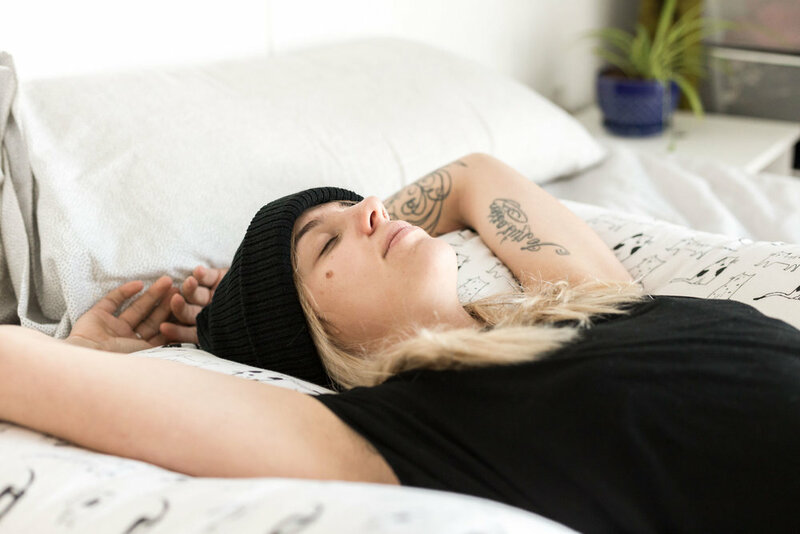 By giving yourself that bit of extra slow time before you even consider leaving the womb of warm blankets and dream remnants is a quick, simple and important way to create a more peaceful and directed day. After all, they ARE called sun salutations. There is something wonderful about connecting to Self and surroundings in the first part of your day, thanking nature for showing up again, just as you have, just as she always does. Enjoying mornings - alongside enjoying most things - starts with the time and attention you put into it. Here's our quick and easy morning bed routine to ease you into your day and into the world. 10 more minutes never felt so good! You might have even woke up like this, so just go with it. Find support from pillows as you allow breath to flood down your front line. Gently open the hips, soften the upper back, shoulders and collarbones, and maintain your relaxed state for as long as your morning allows. This is a gentle posture to keep you supported and calm. The natural progression from a gentle front-line opening might be to give it a little squish. Not only does this posture (done on both sides to balance) give the hip flexors a nice massage, it is toning for the digestive system and cleansing for the organs. It's a wonderful thing to squish yourself, especially with spine to the earth (or bed). This posture gently restores the spine, compresses the hips and legs, encouraging a sort opening in the shoulders. Plus, it's just so comforting. 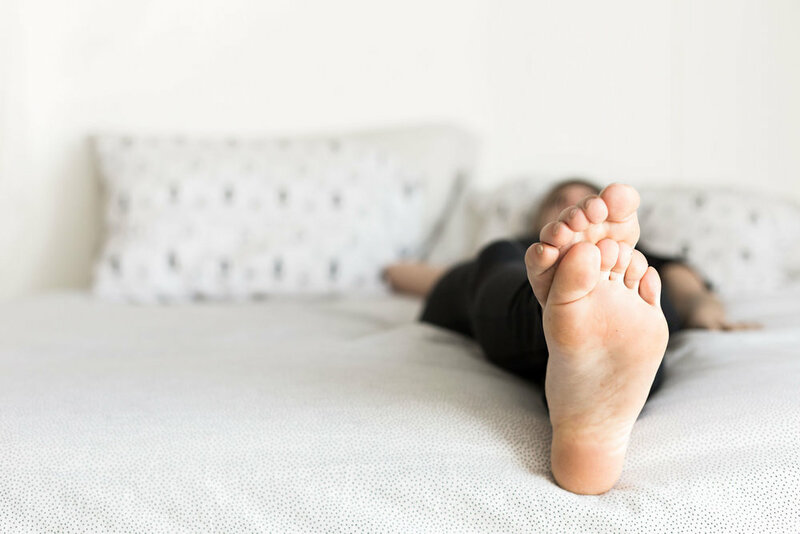 After a night in bed, settled into your bones and fully relaxing, a twist is an excellent idea to restore balance back to centre and to create a little pressure massage in the midline. Notice how your body creaks, don't force anything, and use your breath as a cleanser up and down the vertebrae. You might be able to stay here forever. Cancel everything. Maybe this is how you woke up, snuggling your bed and so relaxed you're drooling. This posture is meant to make us feel cradled, supported and held. As you gently open the hips and shoulders you are also connecting earthward in this shape of reverence. Perhaps this is a nice place to set an intention for your day... or fall back asleep! Go ahead and hit snooze, but just be sure to move into the next restorative posture when the alarm sounds! Mega thanks to my heart buddy Kaitie Degen for rolling around in bed an extra few hours. If you're interested in Reiki treatments she practices out of her beautiful home in downtown Edmonton. Contact kaitiedegen13@hotmail.com to learn more.